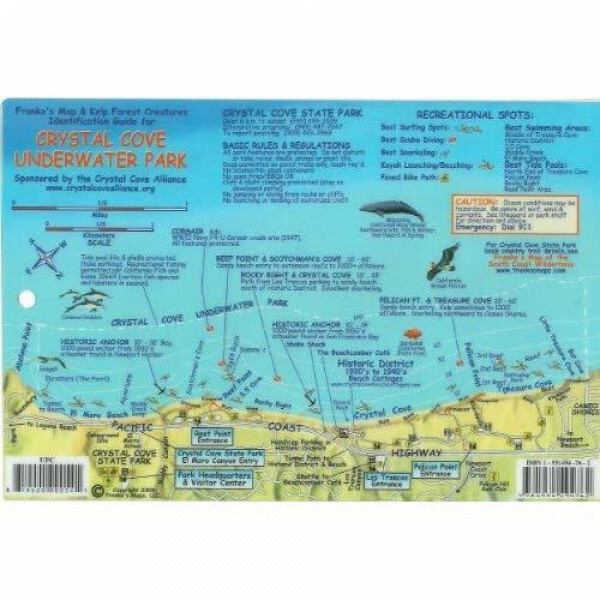 Perfect for divers, snorkelers, surfers, kayakers and nature lovers! Side One is a map of this park on the Southern California coast. 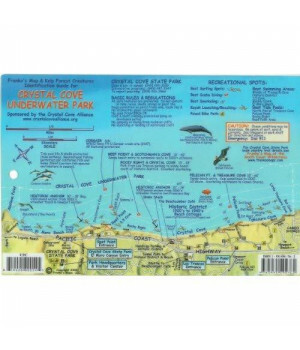 The map shows diving, surfing, snorkeling and kayaking locations, water depth contours, campsites, restrooms, parking, bike paths and more. Side Two is an identification guide with 60+ species of fish and other kelp forest creatures beautifully illustrated. This convenient, waterproof reference is made of rigid, laminated plastic with hole for lanyard. 6" x 9"